In 1967, Jacques Bertin published “Sémiologie graphique” – the modern foundation of the theory of graphical variables. 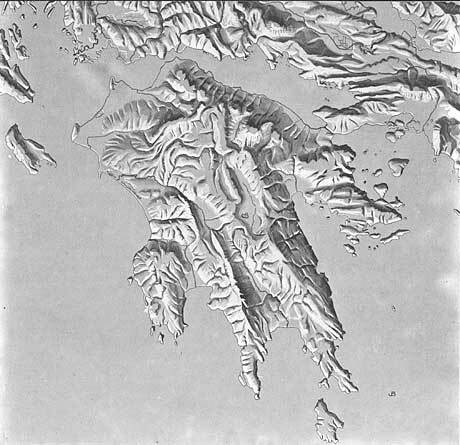 Bertin included in his book an accomplished shaded relief of the Peloponnese that depicts this peninsula’s topography in a unique way. By Jacques Bertin, published in “Sémiologie graphique” 1967.